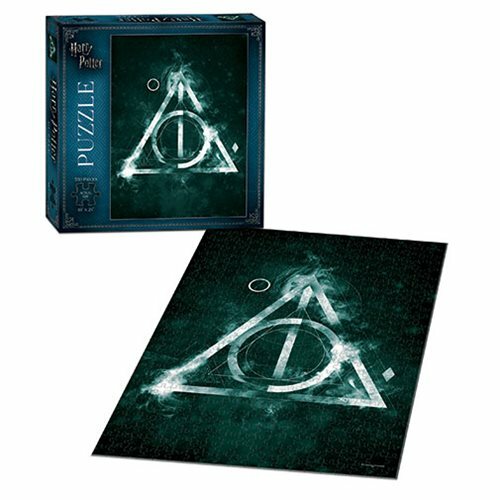 Piece together this challenging 550-piece puzzle representing the symbol of The Deathly Hallows. The Harry Potter The Deathly Hallows 550-Piece Puzzle is must have for fans of the Wizarding World. When assembled the puzzle measures about 24-inches tall x 18-inches wide. Ages 14 and up.